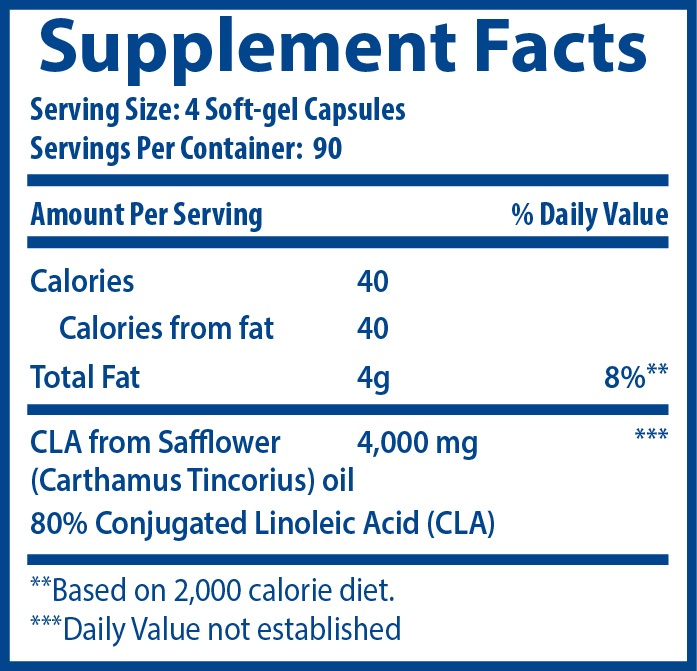 Contains pure CLA (conjugated linoleic acid) in a potency needed based on research. CLA has been proven to curb appetite, help burn FOUR times more fat, and help retain lean muscle mass. There are so many weight loss pills on the market, so what reason should you believe this one is any less of a useless money grab? The answer is research. Optimal Health Systems has been around for decades, but this is the first weight loss product CLAIM they are putting on the market. 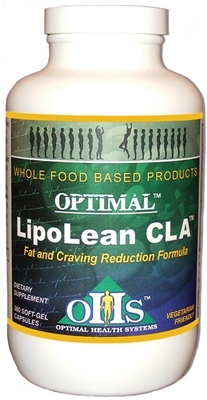 They have finally deemed enough research has been put into all the prospective weight loss aid ingredients and are confident to have chosen the most effective one: conjugated linoleic acid (CLA). CLA has been the focus of hundreds of studies, which show huge differences between people who took 3 to 4 grams of CLA per day and those who took a placebo. However, there’s a key part of the research that a lot of people overlook, which has led to confusion in the past: the duration people need to take the nutrient. The key balance: taking 3-4 grams of CLA per day for 12 solid weeks. The results: reduced body fat mass by 4% and reduced food cravings. Studies consistently showed weight loss up to 400% faster. In a double-blind, placebo-controlled human study published in the Journal of International Medical Research, 20 participants were given either CLA or vegetable oil and were instructed to take the pills for 12 weeks. At the end of the study, the test group lost 20% body fat while the placebo group lost nothing. Please note: they took 3.4 grams of CLA for 12 weeks. Another double-blind, placebo-controlled human study conducted by Swedish researchers showed that those who took CLA lost 400% more fat than the placebo group over—again—12 weeks. This was done while both groups were on the same nutrition and training regimen. At an obesity conference, another study substantiated these findings. 180 overweight men and women with a BMI greater than 25% were supplemented with 3.4 grams of CLA per day over a full year. The participants recorded a 9% decrease in fat mass and a 2% increase in lean mass. Another student conducted at the University of Barcelona in Spain measured the effects of CLA intake in 60 healthy men and women. Subjects who took CLA lost a significant amount of body fat, 78% of it coming off the belly region, while the placebo group actually GAINED fat mass. You might have heard of CLA before, tried it and got disappointing results. Fear not, for you’re not alone. Companies who rushed a product out before waiting for all the results to come in missed out on for how long people needed to take CLA for AND HOW MUCH PER DAY. In addition to 12 weeks, the most effective dose falls between 3 and 4 grams. Anything less is not enough. So many companies sell you less than what you need. LipoLean CLA is the purest, best-tested, CLA available, and each capsule contains a full gram, meaning your daily pill count will be only 4. Even better, each of our bottles contains 360 capsules, meaning you don’t have to worry about buying another bottle before those 12 weeks are up. Those numbers are just your daily amounts. Far from ideal, and your grocery bill—and your waistline— would probably stretch to the north pole as you took in more calories than would be worth the effort. So… an outrageous grocery bill or a safe, proven pill? Weight loss can be a frustrating, emotional journey, but now it can be another victory every time you step on the scale with LipoLean CLA.